May 1, 2014 marks the 25th Anniversary of the opening of Disney's Hollywood Studios, formerly known as Disney/MGM Studios. 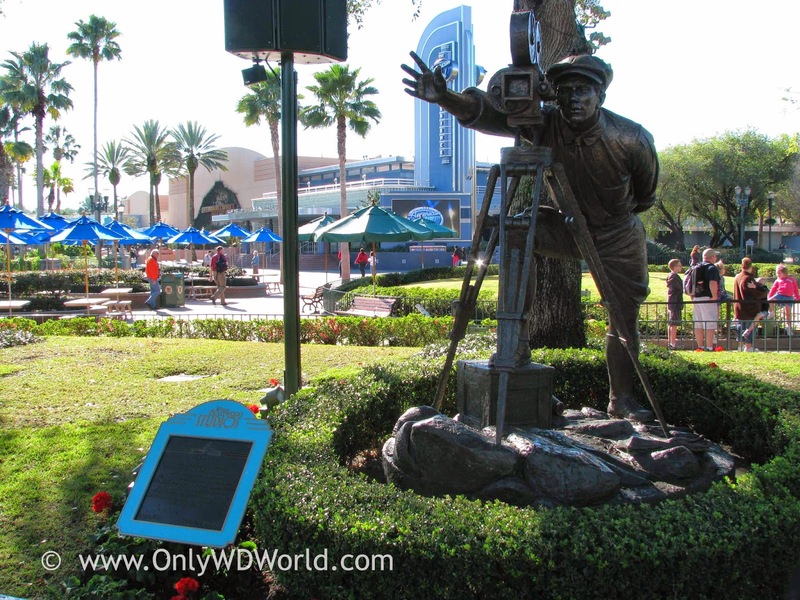 Near the central hub you can find this statue and a plaque that has the remarks made by Michael Eisner on May 1, 1989. The World you have entered was created by the Walt Disney World Company and is dedicated to Hollywood - not a place on a map, but a state of mind that exists wherever people dream and wonder and imagine, a place where illusion and reality are fused by technological magic. We welcome you to a Hollywood that never was- and always will be. There have been many changes to this Disney World Theme Park dedicated to Hollywood and the movies. 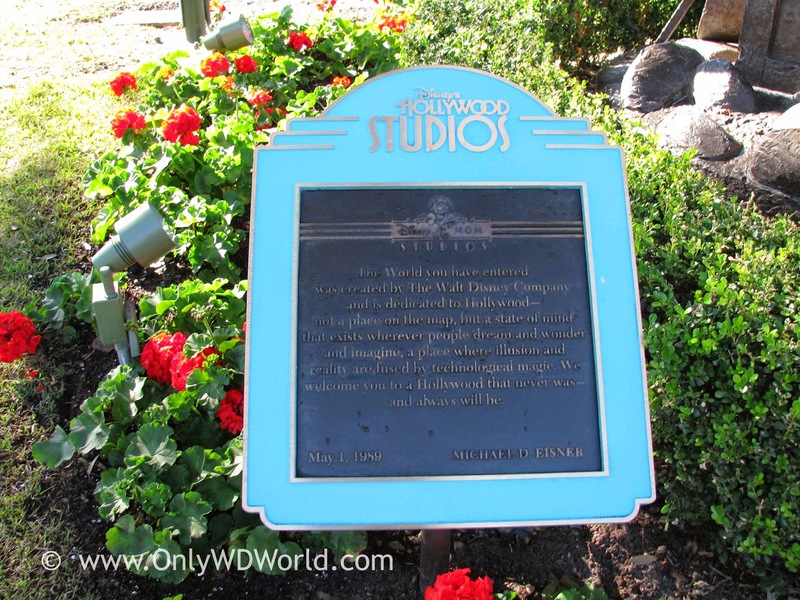 Some of the most notable changes include the change of the park name from Disney/MGM Studios to Disney's Hollywood Studios in 2008. The Park icon, which originally was The Earful Tower, changed to by Sorcerer Mickey's Giant Hat in 2001. This is the only time the signature icon of a Disney Theme Park has changed. 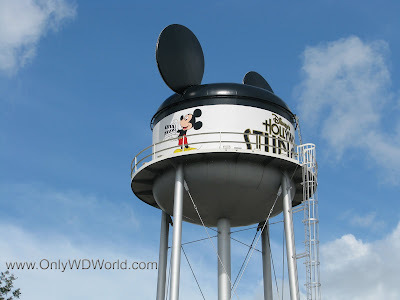 The most remarkable part is that the Earful Tower still stands today in its original location, but is hardly noticed unless you hear about it during the Backlot Studios attraction. Many attractions have come and gone since the park originally opened. The Great Movie Ride and Indiana Jones Epic Stunt Spectacular are the two major attractions that have been around since the beginning. Happy 25th Birthday Disney's Hollywood Studios!!! 0 comments to "Celebrating 25 years Of Disney's Hollywood Studios"